Most of us are aware of Gilles Villeneuve, Rene Arnoux, Dijon in 1979, and all that. Even if it was well before your time you've probably seen the footage. Even if you've not seen the footage you'll likely have heard it referred to. It has gone into folklore, the F1 standard bearer for a thrilling wheel-to-wheel scrap. Motor racing in its purest, and most scintillating, form (footage is below if you're one of the unfortunates who hasn't seen it, or for the rest of you who'll likely enjoy watching it again). Then Gilles and Rene got out of their cars afterwards and fell into each other's arms. Heck, Rene had even ran off the track at one point of the battle - no one cared. But the world's changed clearly, as has F1. 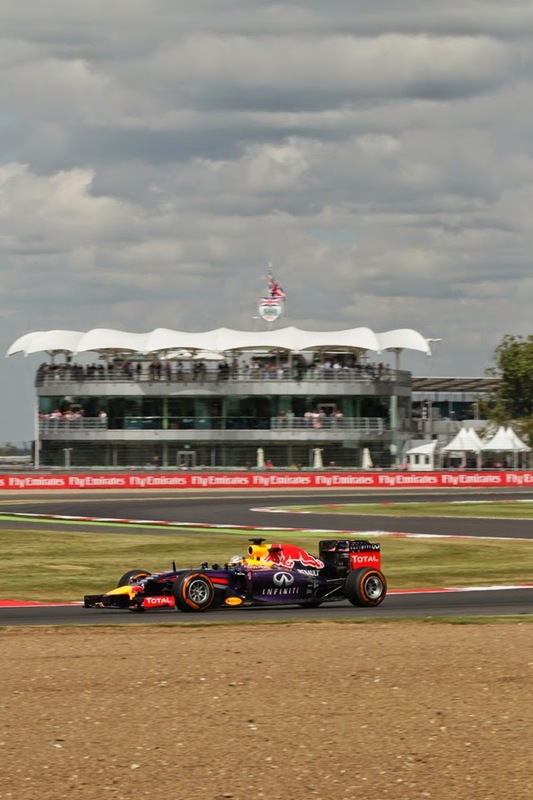 In last Sunday's British Grand Prix Fernando Alonso soared past Sebastian Vettel as the latter was on his out lap after his final stop, in a brave and spellbinding overtake that most of us will carry with us for a long time. And that was just the start as the pair then knuckled down to dispute the place. And keep disputing it. F1 was taken to its very edges of attack and defence. But...one thing did rather spoil it. We heard the radio transmissions from the two drivers via the TV world feed. And the shrill, objectionable, brattishness from both of them - seeking stewards' sanction for the other for exceeding track limits among other things - while all of this was going on seemed utterly incongruous with the fortitude of the driving itself. Somehow it served to taint it a little. Perhaps memories of the words will fade and the glorious pictures will remain. One would certainly hope so. And yet they weren't the only ones. Jenson Button did a similar snitch of Alonso and the track limits earlier on, which resulted in Alonso getting a warning. And it's something we hear frequently in F1 races these days, especially so as an intended consequence of the radio transmissions being replayed on TV is that drivers have worked out that it is a means of communicating with race control. In my view generally there's something embarrassing - juvenile - about such complaining about an opponent. It is not sporting, nor in keeping with what sometimes promotes itself as the most gladiatorial of activities. It seems rather this game's equivalent of the waving of an imaginary card to the referee that footballers on occasion are witnessed doing. A point to make too is whether it really is a driver's business to complain to Charlie Whiting like that? F1 is rather unusual in sport in that it apparently permits an ongoing dialogue between the participants and the equivalent of the referee. In most other sports it's a strict no-no (rugby, cricket, golf) or at least is frowned upon (football, tennis). A complete silence perhaps isn't possible. The genie likely is out of the bottle on radio broadcasts - both in the radio's existence and that transmissions form part of the TV coverage - and these days every frustrated heat-of-the-moment blurt is available for our potential consumption (it's interesting though that a radio ban is something that's mooted on occasion. If it's enacted then it would have this auxiliary benefit...) so perhaps we shouldn't get too wound up given the trying circumstances in which these things are said. Teams - and by extension with the input of the drivers - will always lodge protests. Perhaps it's even necessary as otherwise the stewards may struggle to know where to begin when it comes to what they should focus on. But nevertheless some rowing back - something like a culture shift - would be appreciated. But a broader point has been lingering with me for a while, and the goings-on of Silverstone brought it into renewed focus. We are in an age too wherein we have apparent consensus among F1 participants and fans that the racing is over regulated; that there are too many rules. Indeed over the last weekend both Niki Lauda and Christian Horner reiterated the point, and moreover we've been told in recent weeks that the stewards are making an explicit attempt to step back as it were. All a good thing too, but drivers continuing to frequently and fervently finger-point at each other presumably to the end of seeking penalties for opponents hardly seems in keeping with this. Particularly in complaints of the ilk of Vettel's of Alonso last Sunday 'not giving him space', which encroached the extremely tenuous territory. It's not enough to call for a more laissez-faire F1. You have to live it too. I have been saying this for a while now. Ban two-way radio. Maybe even telemetry. Give the drivers one-way communication from Race Control regarding flags, safety car, penalties etc. but nothing else. No pitwall nannies telling them about deltas and warning them about possible mechanical failures. Then give them one-way radio to the pitwall. They can let the crew know they are coming in for tires or repairs, but the pitwall can't talk back to them. Back to the stone ages, indeed. But it would really put the driver back in the driver's seat, yaknowhattamean. Telemetry could actually be allowed, but its effectiveness would be curtailed by the lack of communication from the pitwall to the driver. Nice idea :) Like you I like the idea of curtailing pit-to-car radio. After all F1 survived perfectly well for decades without it, plus in among the other benefits like you I like that it'll require drivers to think for themselves a bit more!